In simple terms, Gamification is the utilization of Game Design and Game Elements for a non-game context and objective. These objectives can be for Internal Growth (firm trying to motivate its employees), External Growth (firm trying to market a product and make it engaging), and behavior change (a government health institution aiming to improve its communities health). Of course, all to be done in a fun and voluntary fashion. The following is one of the assignments we had to do, which was quite interesting and relevant to the current age of market needs. In addition to the question, I am submitting the answer I have provided for my assignment. Now that you know the essential concepts about gamification and game design, it’s time to use them. For this final task, we ask you to bridge this gap as you meld creativity and structure to match peoples’ needs with technical feasibility and business realities. You are approached by Cheyenne Kendrick, the CEO of Go Digital Press (GDP), a global publisher of electronic books for devices such as the Kindle, Nook, and iPad. She knows you are one of the top experts on gamification, which she has heard can revolutionize publishing. She asks you to present a proposal for a gamified system to take her business to the next level. GDP concentrates on the trade segment of the book market, i.e. non-fiction publications that would traditionally appear in bookstores, rather than mass-market paperbacks. Approximately 50% of its titles are targeted at business professionals; 25% are educational resources on technical topics such as computer programming; and the remainder address a variety of different subjects. As a pioneer in e-book publishing, GDP faces the challenge that many users, even in the U.S., do not yet own reader devices. As of April 2012, only 21% of American adults reported that they had read an e-book in the past year, although those numbers are increasing rapidly. Kendrick tells you that another concern is that the device manufacturers and their associated distribution platforms control the sales process, making it difficult for publishers such as GDP to obtain data or develop direct customer relationships. On the positive side, an e-book is a flexible digital asset, which can offer interactive features beyond any physical book. Kendrick asks you to propose a way to gamify the distribution or consumption of e-books, or both. 5. Don’t forget the fun! 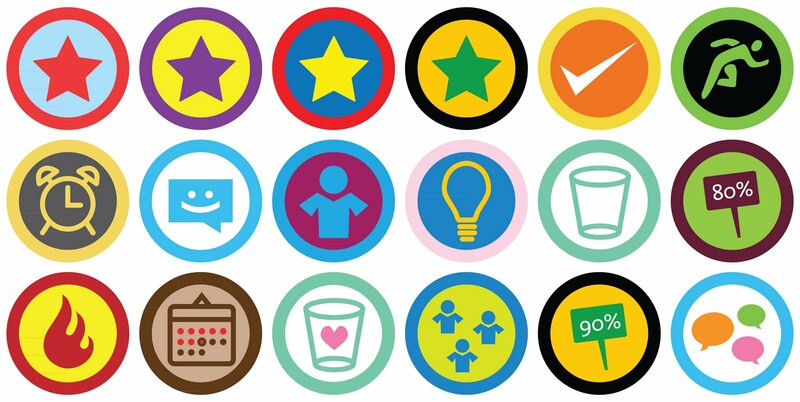 A summary of each concept is provided on the Gamification Design Framework page. Small number of users own reader devices. Sales process is controlled by device manufacturers and distribution platform. Despite the challenges, Cheyenne noted that ebooks are flexible digital assets, which can offer interactive features beyond books. Increase in the sales and profits generated from ebooks sold. Justification: The ultimate goal of the project is to take GDP to the next level of growth in terms of business. It’s essential to note that gains derived from the objective must benefit both GDP and its user base; otherwise, disregarding the demand of the user base and focusing on benefits for GDP will only lead to short-term progress. The behavior the gamified system must promote within GDPs market segment is the shift to the use of ebook devices rather than hardcopy books. Through the increase of ebook device users, more readers will be motivated to purchase and interact with GDP products and services. In order to reach the greater market of users who have yet to purchase, or use, ebook devices, the system will utilize the power of influencer marketing, integrated with game elements, to bring aboard users more quickly. Influencer marketing is marketing focused on key individuals that have influence over potential buyers, such as friends, family and their social network. Within the gamified structure, metrics and analytics will be put in place to tweak and improve the gamified system; leading to identifying ways of encouraging the needed behavior. Due to limitation of access to user data through the ebook devices, the data must be acquired through both the GDP ebooks and their website interface. In order to build trust and respect users data, the privacy of users must be maintained and respected. The Entrepreneurs: They can be the CEO of a Forbes 500 company, or owner of a Laundromat in a neighborhood. Their demographics vary greatly; however, their psychographics share many common elements: Learning how to improve their business, being up-to-date with the current business practices in the industry, and lack of time to seek proper education in universities/seminars that provide business courses. They’re experienced individuals that can add tremendous value to the gamified system based on their feedback and contribution to the gamified environment. The Explorers: They’re passionate and curious individuals that want to learn about the topic of their interest or discover other realms of knowledge. Their goal is to expand their knowledge and skill. Their passion is the key element to further promote GDP products if it appeals their curiosity and learning. They’re powerful influencer marketers that reach out to their circle of interest; whether it’s friends, family, colleagues or social network. The Educators: Instructors of educational institutions seek titles that are suitable for their curriculum, provides their students with ample amount of information that can help them learn, and simplifies their work as educators (through online homework and quizzes, online forum discussion, etc). They’re very powerful influencer marketers as the books they recommend, or request their student to purchase, will lead to the increase in the purchase of ebooks. The Embarkers: Individuals that embark, on the journey of learning or knowledge for the sake of completing a class/seminar, satisfying their employer’s request, or other factor that lead them to purchase the ebook. They’re only motivated through extrinsic means (salary, grade…etc). However, they have potential influence over their social network if they acquire intrinsic motivation; leading them to becoming loyal customers of GDP products. Based on the categories above, it’s evident that demographics are highly variable. However, the goal is to target the demands of the users based on their psychographic needs (for example, “I want to learn about the new business practice in the field of gamification”). Through the deployment of the gamified product by GDP that carries extrinsic motivators, combined with the potential intrinsic motivation of learning within the players, GDP can successfully delineate the behavior they seek (purchase of ebooks and ebook reading devices), and satisfy their objectives (growth in sales/profit, gain access to users). The Book Klub is an online community that is integrated within GDP ebooks and website. Its purpose is to transform concrete non-fiction materials fun, sociable, and valuable. It encompasses elements such as points, badges (no leaderboard), and creativity forums. The elements devise activity loops, ensures fun, and aims in deploying appropriate tools (the three sub-elements are interconnected within the system) whose aims are to satisfy The Book Klub’s purpose and the business objectives of GDP. When purchasing a GDP ebook, the user will be prompted to either login or signup. Once they sign-up, an account will be made both online (The Book Klub website) and the front page of their ebook. The user will start as an Apprentice (level 1 user), whose journey is based on the skills they learn from the subjects they’re interested in. Depending on their path and journey, they will elevate to new levels for the title; such as Mentor, Consultant, Specialist, and Craftsman. The user’s profile represents a virtual shelf of the books and badges the user acquired from their journey. On the front of each title, they can see the progress bar of their reading and their total score for each title. Utilizing progression loops, the end of each chapter of an ebook carries a mini-quiz. The quiz can be repeated infinitely, where the last grade will be taken into account. The purpose is to promote fun and motivation through performance-contingent rewards. If the user completes all quizzes (i.e. complete the book) with an average over a pre-defined score, they receive a special badge depending on the score and retain a special title in the Book Klub community. Highlighting – When highlighting important point, the highlighted will go to the Book Klub community which will be scored based on community voting (one Like = +1). If the point was highlighted before, the user will receive the total score derived from the originally highlighted information. Such function will utilize “Achievement” methodology which surprises the user that they received a certain number of points just from highlighting a point. In addition, the power of crowd sourcing discourages improper use of highlighting. How much you read today compared to past – Provides feedback to the user on how much more they’ve read compared to before; appearing as a pop-up after they bookmark the last page they read. This encourages the completion of the ebook faster, leading to purchase of other ebooks much more quickly, and encourages the habit of reading and using ebook reader devices. Special badges can be provided for those who read 25%, 50% or all the ebook in one instance. Submission of creative content – Some individuals derive inspiration from the ebook, leading them to either generate notes, artwork, model systems, or create useful powerpoints based on the title they’re reading. If they publish the content to the online community, they receive points based on community voting and GDPs specification; special badges, prizes or awards can be provided depending on number of votes, uniqueness and author-provided badges. This action must be nourished as it’s the true form of fun and outlet of intrinsic motivation. Furthermore, it makes GDPs content human-centered, rich and fruitful; leading to increase of users purchasing GDP products to tap into the knowledgebase of the Book Klub community. To maintain an exclusive status, the online community is only accessible by individuals that purchase GDP products (similar to Xbox Live). The more titles of GDP purchased, the more access the user will gain to the content shared by the community members of different titles. The exclusivity provides a sense of status and fosters a sense of learning. However, users can invite their social-network to join the community by encouraging them to purchase the titles. Such action can be rewarded through points or badges depending on the number of accepted invites. GDP can hold online or regional events based on the findings they received from their user base to further increase customer loyalty, expand their customer base and increase customer satisfaction; such as talks by the author, or invitation of active members to discussion panels to improve the title (similar to Ebay’s Top Seller Conference), or a fun conference like Dreamforce. Badges and titles can be awarded for participation at these, making the players more reputable and recognizable among their online peers. The system will foster a fun collaborative environment where value is derived from a fun social-oriented activity, while maintaining individual uniqueness and progress (both sparking intrinsic motivation). In addition, the system will guarantee the satisfaction of business objectives while ensuring that the users benefit greatly, too.